It takes a lot of planning to have a safe, fun, and successful camping adventure. You need to decide where to go, form a travel route, and know how accomplish the desired activities you’ve planned from morning to night. As much as it’s good to get disconnected from the digital world when you go camping, the following smartphone apps make a good case for taking your device with you. They can help with each phase of your adventure — except for avoiding mosquito bites. 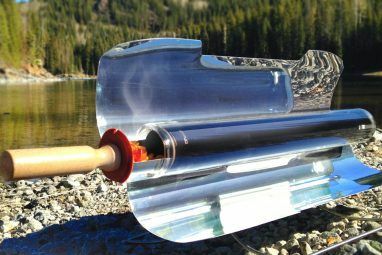 Though the Learn to Camp app is targeted at people who will be camping in provincial parks of Canada, it is useful to anybody who wants to get a grasp of the basics of camping. In the Camping Basics section you’ll find information about a variety of aspects of camping to think about, and you can get an overview of various activities in case you need a refresher or have never been camping before. You’ll also find a handy list of equipment to consider bringing in the Camping Checklist section. A curated selection of twelve recipes especially good for making in the great outdoors is available in the Recipes & Cooking section, including instructions and insider tips. Campers in Canada can also use the Find a Park tool to locate parks where camping is permitted, find out contact info, and learn what the features and amenities of the parks are. When you plan a camping trip, it helps to have a budget,and to remember that driving out to your camp site costs money too. Save money on gasoline with the help of Gas Buddy, which tells you about the price of gas at stations nearby. You might find good deals on gas not too far out of your way. Remember, the system works at it’s best when everyone takes a bit of time to report about the gas prices they see. If you use Gas Buddy, remember to give back and share about gas prices at stations near you. If you want to go fishing on your camping trip, it helps a lot to know the best situation to catch what you want. Time2Fish is a simple app that helps you determine the best time to fish by calculating it based on available solar and lunar information. Time2Fish offers the ability to pick locations from a map and save them, whereas the free version called Time2Fish Lite does not offer this feature. In Time2Fish Lite, location data has to be turned on and it will only give information for your current location. If you’re adventuring in Europe, Komoot is the hiking and biking app for you: it suggests routes in Europe based on the kind of activity you want (hiking, biking, mountain biking, etc), and your fitness level. 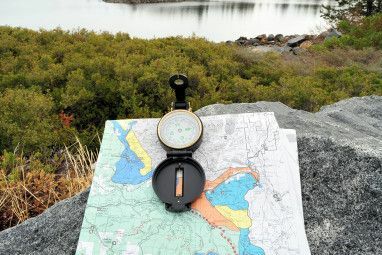 It can also tell you about the surfaces, difficulty, distance, and elevation of an area, show you topographic maps, and even track your progress. Voice navigation is available for your first region for free, and region bundles are available if you complete an in-app purchase, but I have not tested this feature as it is only available for regions in Europe, and I’m located in Canada. I did, however, download the Roma (Rome) region for free and found that once you choose a region, you can download all of its maps for offline use — which is important if you’re going to be without an Internet connection in the wilderness. We’ve written about AllTrails before, but it bears repeating: it’s a great app to find a trail and to know what to expect about it, thanks to trail reviews. No one expecting an easy hike will want to wind up having to cling to chains on the side of a slippery rock face (true story that happened to me this summer). Conversely, no one hoping to walk on the wild side will be satisfied with a hike that turned out to be a walk in the park. AllTrails is a valuable resource that will prevent those surprises, so check it out. If you spend any time canoeing, kayaking, or on any kind of boat, it helps to know where you can park it. Canoers, kayakers, and stand-up paddlers will find at the time of this writing over 19,000 locations to enter and exit the water. It’s a simple app, but it organizes locations in a Google Map and in a list form, along with ratings — which is all you really need. If you have an account with the site Paddling.net, you can also mark favourite locations and add new ones. When I’m done with a long day of camping, the final thing I want to do before I sleep is to stare up at the stars. It’s perfect when light pollution doesn’t hide so many of the celestial bodies from view. Of course, knowing what to look for makes a stargazing session meaningful, and that’s where Star Chart comes in. A great stargazing app like Star Chart will show you what celestial objects are in view in your area on a clear night. Star Chart gives you information and photographs of the planets, stars, constellations, and Messier Objects (astronomical objects catalogued by the French astronomer Charles Messier — not ‘messier’ as in untidy) too. If you’re interested in trying other astronomy apps, here’s a roundup of 4 great Android astronomy apps The 10 Best Astronomy Apps for Enjoying the Night Sky The 10 Best Astronomy Apps for Enjoying the Night Sky Love astronomy? Want to kick your stargazing up a level? Here are some awesome astronomy apps for Android and iPhone users. Read More that will educate you about space at different price points. Don’t ask me why this app has over 500k installs, 12k reviews, and a 4-star rating in the Play Store. There is no reason a high-frequency sound should keep mosquitoes away. My guess is some reviewers are simply trolling, while perhaps others are experiencing the placebo effect and think it is helping to keep mosquitoes away without evidence. Sadly, I can’t imagine any app that will help you with this particular camping nuisance. Don’t download this app. And remember to pack real mosquito repellent when you go camping or hiking. If you’re going to bring your smartphone along with you on a camping trip (and let’s face it — most of us will), you might as well put it to good use that is relevant to your adventure. I hope this round-up introduced you to some apps worth having before you trek into the great outdoors. 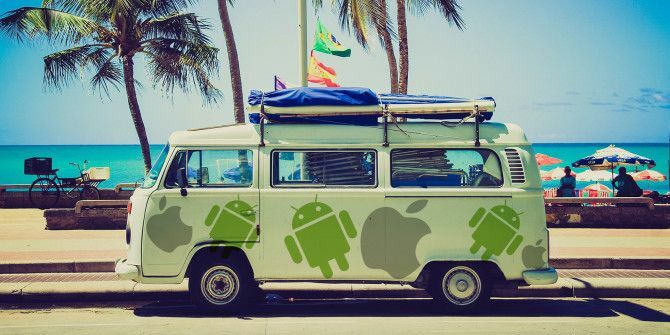 If you’re excited to go on a camping trip in the near future, you may also be interested in this round-up of Android apps every hiker needs 6 Android Apps Every Hiker Needs 6 Android Apps Every Hiker Needs How can your Android device improve your next hiking trip? These six apps can challenge you, help you explore, and provide incredibly useful information. Read More . 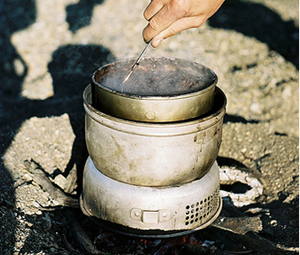 What kinds of camping activities do you like to do that you’d like an app to help with? If the apps above don’t cover your region, do you know of any outdoor activity apps that do? Share them with your fellow readers in the comments! Spyglass for iPhone is another great navigational app. It helps to save your custom places and waypoints, navigate precisely to them later, show them on maps and use real-time augmented reality, displays detailed GPS info, measures distances, sizes, angles and more. 1. Parks Canada app 2. Launch sites shows Vancouver and Vancouver Island! Hi John P! I'm proudly Canadian and I look forward to digging up more neat apps that are relevant to Canadians for MakeUseOf readers. Go Canada!